Go check out their website! 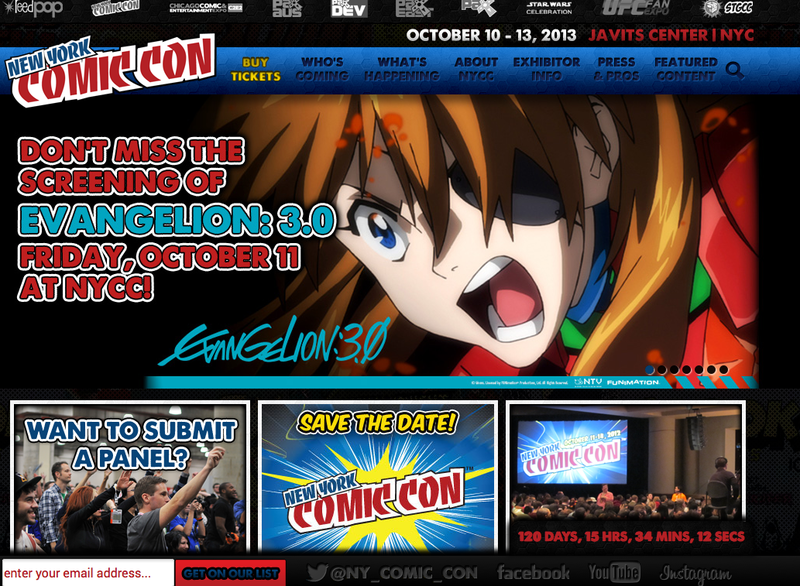 We'll be in The Block at booth 208! Get them while they're available! The latest colors of Scott Tollsen and George Gaspar's Baby Deadbeets, red, white and blue, are now available for purchase at October Toys. This piece, designed for this past weeks G.I. Joe show is from Joe Scarano. "Nope Dope" is built on the 3" G.I. Joe base produced by the Loyal Subjects. It is available for $100 now on the Sub-Urban Vinyl website. Faster than a speeding bullet! More powerful than a locomotive! 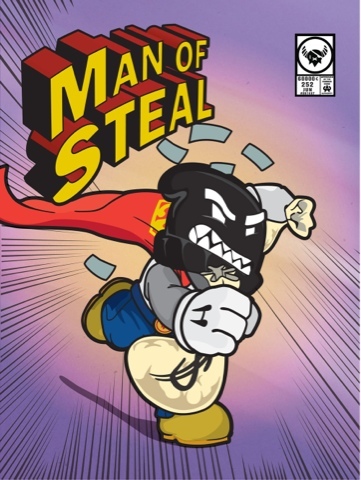 Able to leap… wait, that's not the Man of Steel, it's that dastardly Hoodley as the "Man of Steal"! 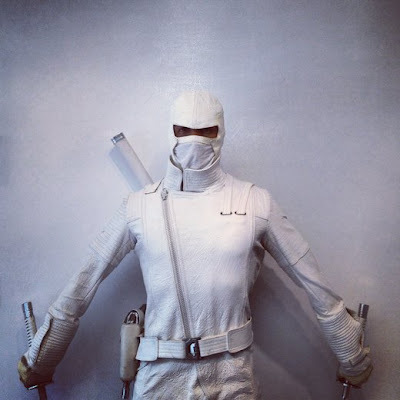 The Big Payoff print series by Soujohn (co-founder of Mai Hiro) continues with this sly parody of the super-powered boyscout by reinventing him as the Masked Menace of Metropolis. While everyone's eyes are on the sky looking for Big Blue to fly by, Hoodley keeps his eyes on the real prize: a big bag of green! These 9" x 12" prints will be available at http://hoodley.bigcartel.com/ for only $10 each! This piece, designed for this past weeks G.I. Joe show is from Don P. "Tony Apano" is built on the 3" G.I. Joe base produced by the Loyal Subjects. It is available for $100 now on the Sub-Urban Vinyl website. Hit the jump for more photos. 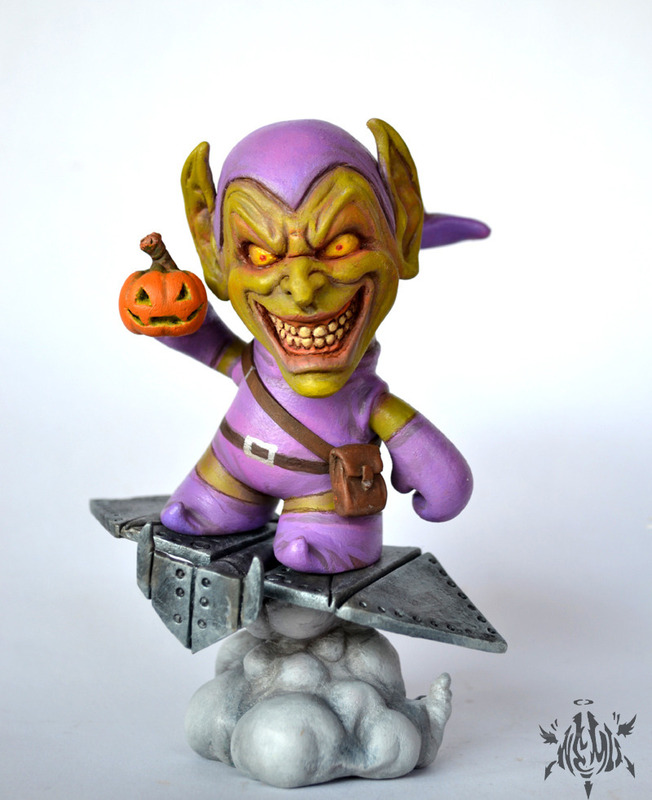 Click here to preorder the incoming Mortimer the Mortician & Oliver the Bat Boy 6" vinyl toy sets by Kathie Olivas & Brandt Peters. 3 colorways of each figure, and each is individually packaged. Manufactured by Artoyz, these items have already been produced and will be shipped into the US soon. We don't have a solid arrival date but I'd imagine it'd be between 1 and 2 months before they ship to customers. 200 pieces made in each colorway of each figure- pretty limited! 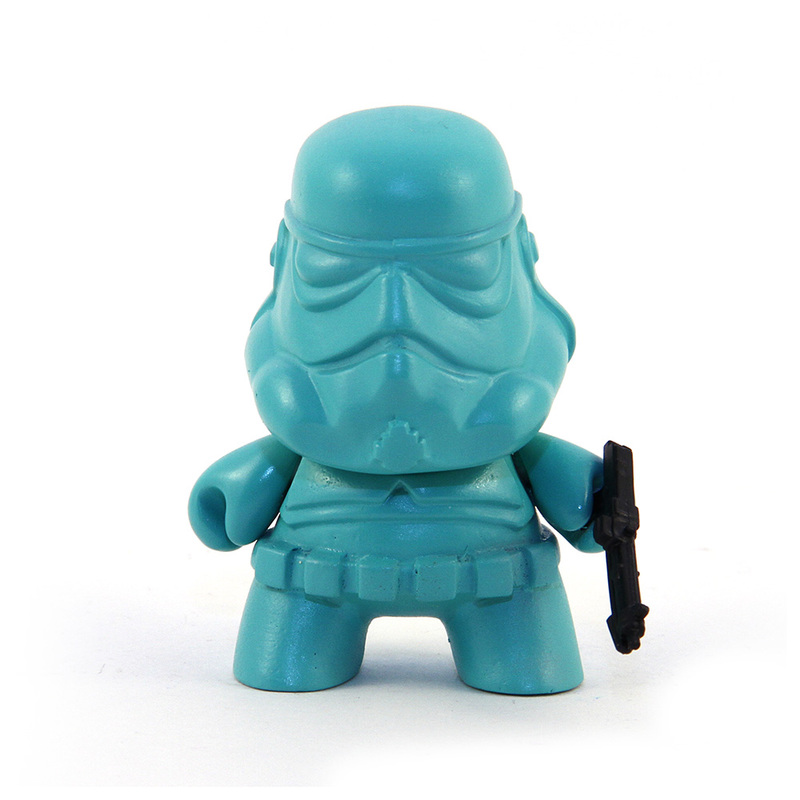 And Mortimer in the "Aqua" set glows in the dark! There's pretty much only one thing creepier than big eyeballs staring at you, and that's when they also glow in the dark and stare at you. Now you can enjoy the disturbingly delightful works of Allan "Alarment" Armenta night and day. 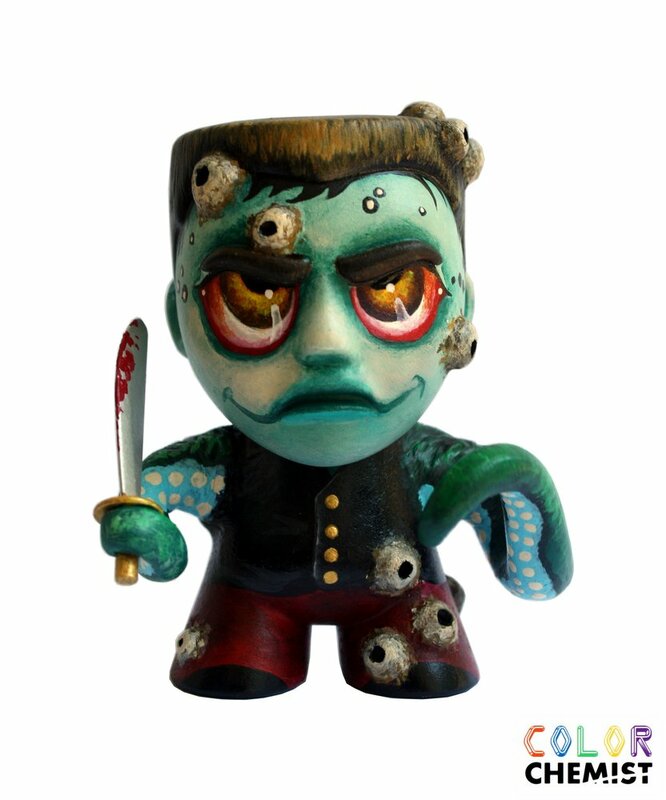 This GID Mini Munny, as well as Alarment's "Rockwell(The all seeing eye)" made for Munnymonth, are both available here. Use the secret (not that secret) code " fathersday " on Alarment's eStore for 15% off your purchases this month! Cotton Candy Machine will host it's 3rd annual Tiny Trifecta show at it's gallery in Brooklyn, from June 15th to July 7th, 2013. The opening event will be held on Saturday June 15th, from 7PM to 11PM. If you are in the area, be sure to be there early, as preregistration will begin at 4pm. The Tiny Trifecta show features 3 small pieces of art by a ton of different artists. Each piece will sell for $100, on a first come, first serve basis. A limit of 2 art pieces per person will be enforced, with all the remaining unsold art being made available online the following week after the opening event. Kid Acne, Jessicka Addams, Aiko, Andrew Bell, Heather Benjamin, Florence Blanchard, Robert Bowen, Jon Burgerman, Iain Burke, Zoe Byland, You Byun, Victor Castillo, Deedee Cheriel, Luke Chueh, Ciou, Becky Cloonan, David M. Cook, Dave Correia, Troy Coulterman, Molly Crabapple, Lana Crooks, Camilla d'Errico, Dilek Baykara, Steven Daily, Ron English, Brian Ewing, Natalia Fabia, P-Jay Fidler, AJ Fosik, Lola Gil, Gris Grimley, Jason Holley, Thomas Hooper, Jim Houser, Seldon Hunt, Jeremy Hush, Charlie Immer, Jordin Isip, JK5, Lyejm Kallas-Lewis, Aya Kakeda, Audrey Kawasaki, Kozyndan, Henry Lewis, Farron Loathing, Travis Louie, David Mack, Jim Mahfood, Steve Manale, Malojo, Sara Antoinette Martin, Tara McPherson, Brandi Milne, Junko Mizuno, Moki, Buff Monster, Tomi Monstre, Michael Motorcycle, Lori Nelson, Saelee Oh, Kathie Olivas, Alex Pardee, Brandt Peters, Shaunna Peterson, Joshua Petker, Anthony Pontius, Martha Rich, Arik Roper, Paul Romano, Frank Russo, Martina Russo, Jay Ryan, Mark Ryden, Souther Salazar, Isabel Samaras, Scarecrowoven, Jon Schnepp, Shawnimals, Greg “Craola” Simkins, Amy Sol, Jeff Soto, Diana Sudyka, L'Amour Supreme, Jill Thompson, Yosuke Ueno, Adam Wallacavage, Jonathan Wayshack and Chet Zar. A very great lineup of artists and at a $100 price point for an original piece of art, this is a great deal for art collectors, epecially those looking to venture into the 2D realm. Be sure to check out the Tiny Trifecta event page, on the Cotton Candy Machine site, to see a ton of already submitted examples of available art. Jon-Paul Kaiser, or JPK for short, recently posted up his Kidrobot Sideshow 2013 Dunny Series AP set for all to see and purchase if keen. 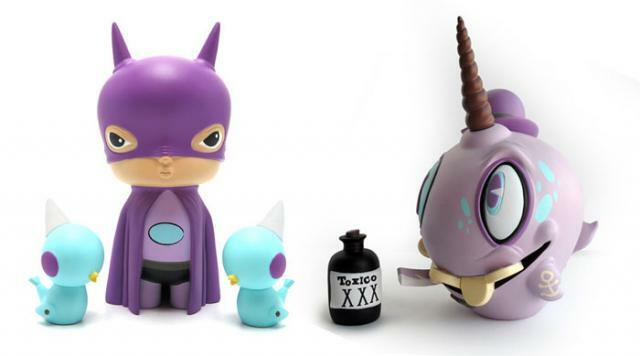 The AP set features both the regular and case exclusive Dunny, designed by Jon-Paul Kaiser. 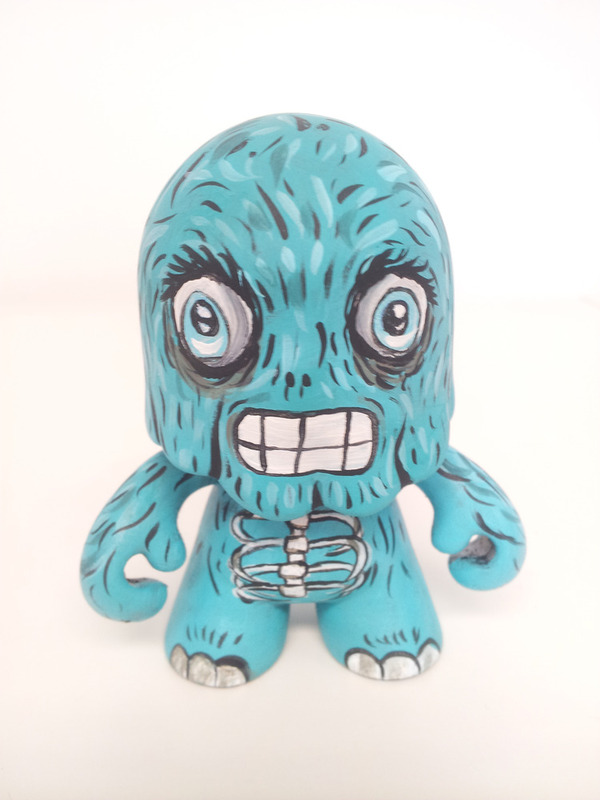 Also included in the batch is an A3 sized Locodonta Print, featuring the Dunny design. The print has a circus poster type of feel to it, looking like something that would be posted up all over town while the circus is in town. Available now on JPKs online store and limited to 15 sets, the AP set is priced at 80 GBP plus shipping(around $145 USD shipped). Each set comes signed and numbered by JPK. JPK also made the Locodonta print available as a stand alone product, priced at 25 GBP and limited to 50 prints. Ryan "the Wheelbarrow" Ferrell continues to make customs using his somewhat free form ty_po style of art, with his latest custom Dunny series: WHT/BLK. It's been some time since Ryan made the move from Colorado back to Florida and it seems that he's getting back in the groove, letting paint fly. 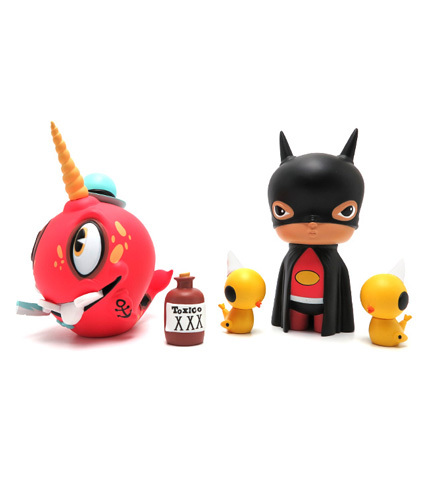 Available now, each one of these dunnys are a unique 1 of 1 piece of art, that come with an equally unique hand screen printed box. With some figures featuring strategic lettering to produce facial features like eyes and mouths, the series as a whole is a great example of Ryan's style of art. 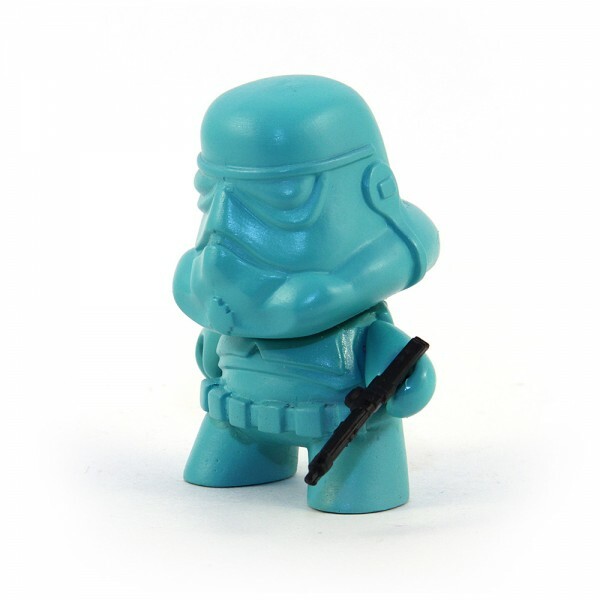 My new ty_po custom Dunny Series WHT/BLK will be releasing this Friday, June 7 at 10 pm EST in my webstore. 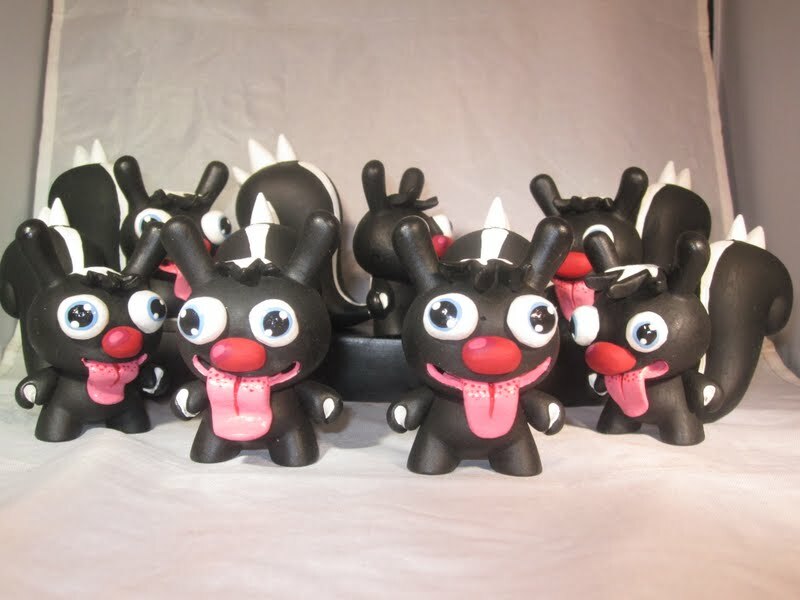 There will be a series of 10 blind boxed 3" Dunnys for $58 each and one 8" Dunny for $310. Each 1of1 typographic miscreant is crafted with white vintage dry transfer instant lettering (Letraset/Chartpak) on black spray paint and will come packaged in a uniquely hand screen printed box. Also available by Ryan is an 8" Dunny which is also painted in the WHT/BLK theme. This 8" Dunny sells for $310 plus shipping, while the 3" Dunnys sell for $58 plus shipping. Be sure to check out Ryan's work and stay up to date by following his antics via social media. This piece, designed for this past weeks G.I. Joe show is from Dee Ten. "The Queen" is built on the 3" G.I. Joe base produced by the Loyal Subjects. It is available for $85 now on the Sub-Urban Vinyl website. DrilOne recently created some 2" Gas Mask magnets for everyone to purchase and enjoy. The masks were made from the same mold used to create the gas masks for DrilOne's Drone figures. To make these gas masks even better, Drilone has painted them a variety of different colors, added a strong magnet and also added some nicely painted eyes. These Gas Mask Magnets are selling blind bagged style, for $20 plus shipping. As of right now, there are a few of these Colortastic Gas Masks left. While browsing around DrilOne's store, collectors can also pick up a Mega Munny, a soviet Gas Mask Dunny, Gas Mask Drone, and more. Go check it out and support a great artist by making a purchase. This piece, designed for this past weeks G.I. Joe show is from Blazon Brikhaus. "Destro's Demise" is built on the 3" G.I. Joe base produced by the Loyal Subjects. It is available for $200 now on the Sub-Urban Vinyl website. Hit the jump for more photos. Shadoe Delgado's opening toys back up after a successful move to a new studio location. 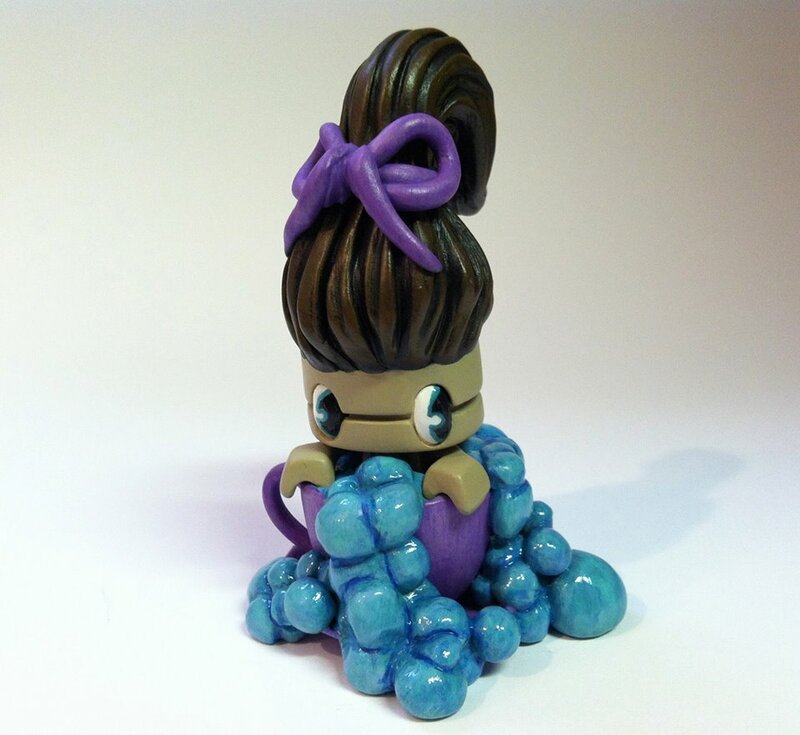 To kick things off, he's launching a new series of Made-To-Order Micro Munny; introducing, the [Id]! For those of us who haven't read Freud's The Interpretation Of Dreams in a little while, the Id are our instinctual drives, disorganized and unconscious impulses. How fitting for these mysterious little micro-creatures! Add one to your collection, for only 50$, here. Ardabus Rubber has released a selection of limited edition art prints of both ink drawings and monochrome rendered paintings. These 5x7" and 8x10" prints come signed in editions of only 10, 15 and 20 prints. Now avalable are prints of Ardabus' inked lineart piece, "There Is Only One Possible Ending" inspired by the film Fight Club. A series of historic madmen- Dali, Kaczynksi and Fermi. As well as mono versions of Ardabus' acrylic paintings "My First Crush" (Metroid) and "Echo's Brother" - inspired by Kozik's Beethoven busts. View them all here on Ardabus' eStore. 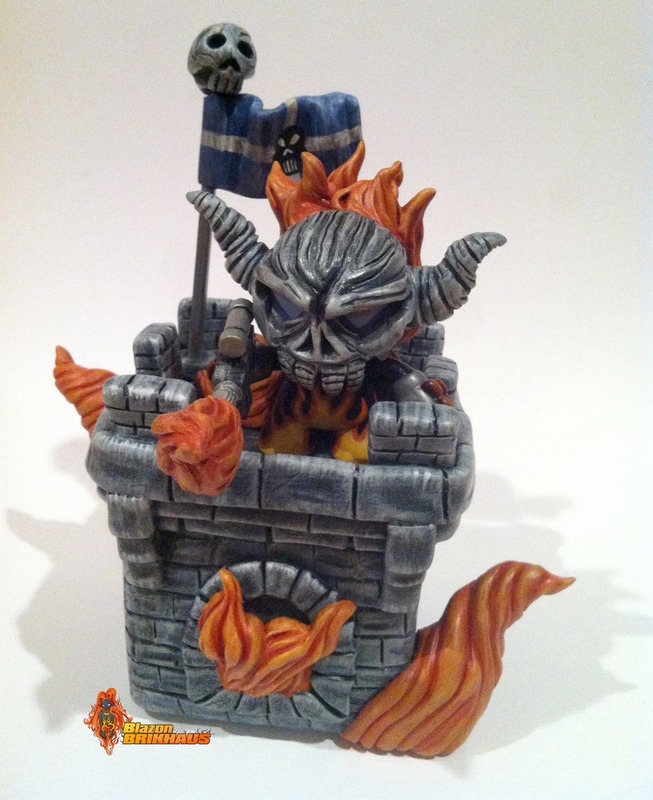 The Beast Brothers recently released information regarding an 8" Custom figure based on their 2007 Kidrobot Azteca I Dunny design, the Quetzalcoatl Dunny. Rather than wait for KR to make a move to create this wonderful design, the Beast Brothers decided to make it themselves. If you don't already subscribe to the Beast Brothers newsletter, be sure to sign up so you get all the up to date information for anything Beast Brothers. 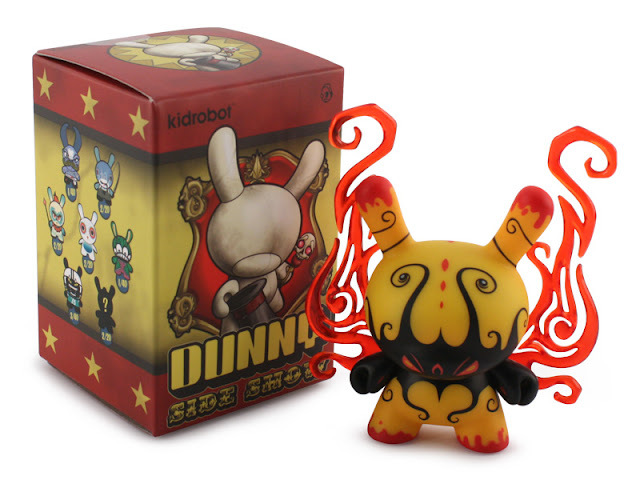 The Quetzalcoatl Dunny was the most coveted mini figure of the 2007 Kidrobot Dunny Azteca series. And now The Beast Brothers are set to release their Quetzalcoatl design for the first time as an 8” custom figure. This amazing sculpt is one of the most elaborate and detailed to date, hand painted and donning a faux leather poncho, each piece will come safely packaged in a laser engraved wooden box. Like many previous releases before this one, the Beast Brothers have decided to make this custom figure available as a limited release, open for only 24 hours, starting Friday June 21st at 1PM EST. This means that the run size will depend on how many people actually make a purchase, with the final run size never being released. With the price set at $450 plus shipping, I can see many collectors freaking out, since the money drain known as SDCC is just weeks away. Any collector who picks up this piece will sure be glad he/she did. More Than Sunshine is putting on a show! 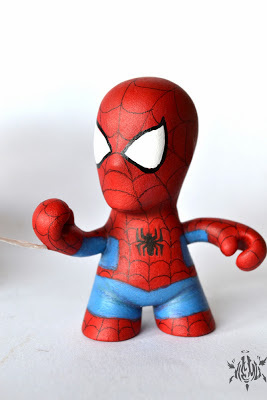 Sunny Orlando, Florida's Redefine Gallery will host a toy show featuring vinyl, resin and plush pieces contirbuted by both local and international artists. The show opens July 18th, where opening reception will also feature a live 3D Printing demo from the OCLS. This piece, designed for this past weeks G.I. Joe show is from Tasha Zimich. "Eyesee" is built on the 3" G.I. Joe base produced by the Loyal Subjects. It is available for $75 now on the Sub-Urban Vinyl website. This piece, designed for this past weeks G.I. Joe show is from Ms. Zukie. "Ice Monster" is built on the 3" G.I. Joe base produced by the Loyal Subjects. It is available for $50 now on the Sub-Urban Vinyl website. RAMPAGE TOYS and ART: B.A.S.T.A.R.D.s - Sofubi & Keshi Mania! 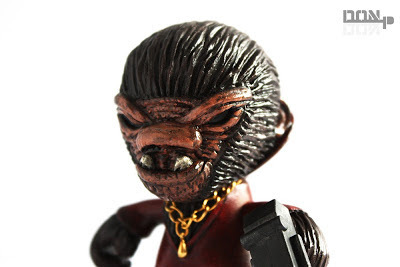 RAMPAGE TOYS and ART: B.A.S.T.A.R.D.s!!!! A Notable Moment in American Kaiju? 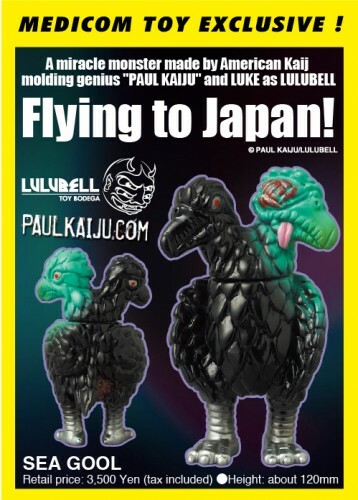 Paul Kaiju just sent an update this morning that his collab SEAGOOL piece with Luke of Lulubell is now being sold via Medicom (in Japan) as an exclusive. Apparently this piece was made by Paul Kaiju and painted by Luke. I am really not a kaiju expert so I don't know if American kaiju has been exported to Japan before (and to be fair, I don't even know if Paul physically makes these pieces on American soil)... but it's worth mentioning in that it seems American kaiju artists are being recognized by Japanese companies to the point that they'll go to the trouble of importing the American-designed toys. Kaiju nerds, is this a common practice? First I've heard of it. Artist Jon Walsh created these limited edition 2.5" figures based on your favorite army of cloned warriors for Dream in Plastic. Available now for $50 each, hurry and grab yours as only five are available! This piece, designed for this past weeks G.I. Joe show is from Color Chemist aka Bryan Collins. "Barnacle Duke" is built on the 3" G.I. Joe base produced by the Loyal Subjects. 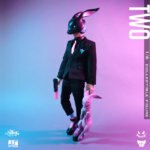 It is available for $120 now on the Sub-Urban Vinyl website. Dead Zebra's Mini Android Rainbow set on sale now! 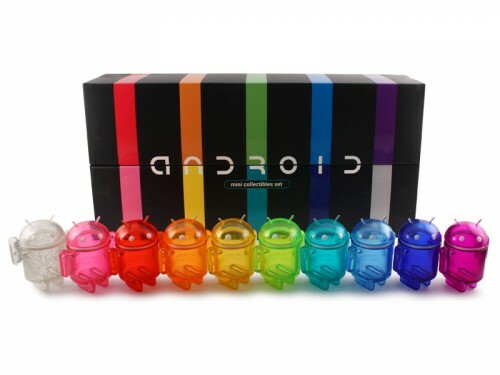 Ten different colors of translucent mini Android figures in a cool display box. Head over to Dead Zebra's online store to pick up your set for $69! I have a feeling we'll see some interesting customs based on this set. You can see more great Android figures here. This piece, designed for this past weeks G.I. Joe show is from Dave Webb. 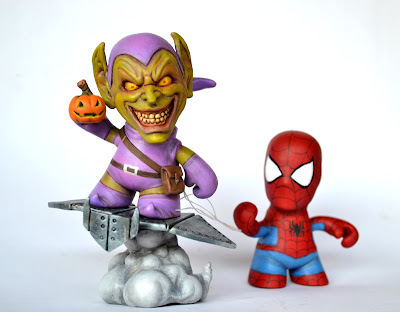 "Spiderman Vs Green Goblin" is built on the 3" G.I. Joe base produced by the Loyal Subjects. It is available for $450 now on the Sub-Urban Vinyl website. A first look at Andrew Bell's Dunny, Deeper Issues, for the upcoming 2013 "Side Show" set being released this Friday, June 14th. 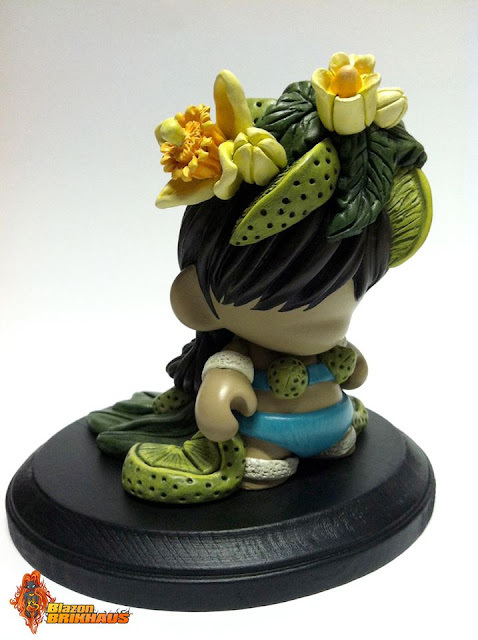 An absolutely beautiful piece and a must have for fans of Bell's work or Dunnys period. Call it a convergence of cute. 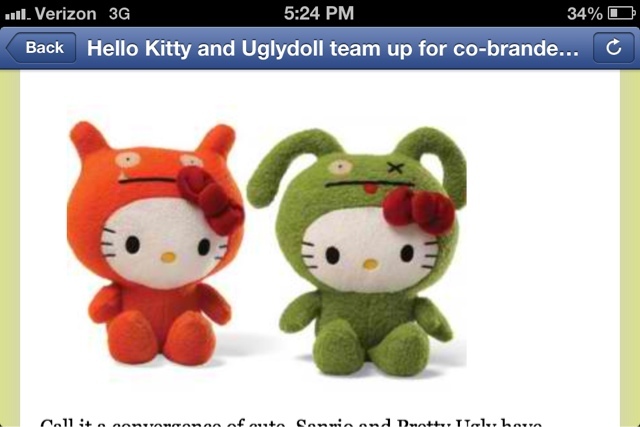 Sanrio and Pretty Ugly have embarked on a two-year co-branding deal that will see their IPs, Hello Kitty and Uglydoll, merge to create a limited-edition line of collectibles, which are set to debut at San Diego Comic-Con next month, with a sneek-peak for Licensing Show goers planned next week. Two years in the making, the collaboration is rolling out with a set of plush from Gund that features the iconic feline dressed up as popular Uglydoll characters, along with a set of vinyl figures by Funko. Also exclusive to Comic-Con attendees will be co-branded t-shirts (Mighty Fine), iPhone cases (Uncommon) and a collectible pin set (PinUSA). The Gund plush, along with other items, will then roll out to US specialty retailers later this summer. Thanks to Alvin of Furry Feline Creatives for finding this article & showing me! Blazon Brikhaus is always thinking out of the box. Two great customs from her!